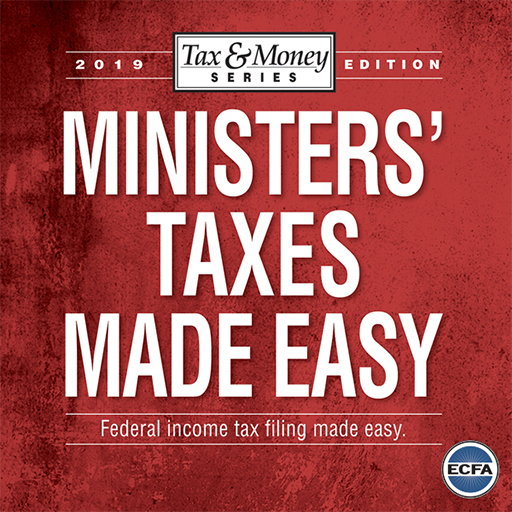 This eBook, with clear explanations of IRS guidelines and step-by-step instructions, is designed to help you prepare your federal tax return and navigate the maze of unique rules for ministers. Take the headache out of filing your tax return as a pastor. This eBook, with clear explanations of IRS guidelines and step-by-step instructions, is designed to help you prepare your federal tax return and navigate the maze of unique rules for ministers including the housing allowance, social security and more. Special thanks to our partner, Evangelical Council for Financial Accountability (ECFA), for providing this resource.